For over one hundred years, Pi Kappa Phi has been building better men on college campuses across the country. From our humble roots at the College of Charleston in South Carolina to over 140 campuses today, Pi Kappa Phi stands for a commitment to fundamental values. We are a first class fraternity who firmly believes in the tenets of Character, Leadership, Academics, Sportsmanship, and Service. These principles are not only valued but instilled through leading-edge educational, service, and leadership opportunities. We are America’s Leading Fraternity. As America’s leading fraternity, Pi Kappa Phi offers leading-edge experiences and opportunities that will get you ahead of your college career and in your life. You can associate with men of proven character. Attend corporate-level leadership training. Achieve higher grades by utilizing your Academic Coach. Be a part of a team. Ride a bike across the United States or swing a hammer on behalf of people with disabilities. 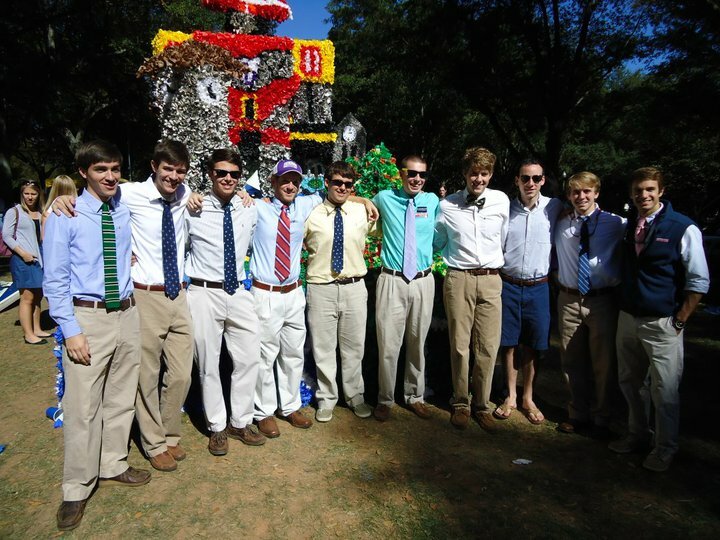 Pi Kappa Phi is an ideal choice for those attending Furman. We offer the staple fraternity benefits – Brotherhood, Social Life, Grades, Diversity, and Networking – without the stereotypes. We also exceed these with our leading-edge programming. No matter what your major is or what your hobbies are, you can find a home at Pi Kappa Phi. Be a Man of Class – Character, Leadership, Academics, Service, and Sportsmanship. Be a Pi Kappa Phi.